HOUSTON”S RICE UNIVERSITY ANNOUNCES TRANSFORMATIVE PROJECT - News - James Carpenter Design Associates Inc. 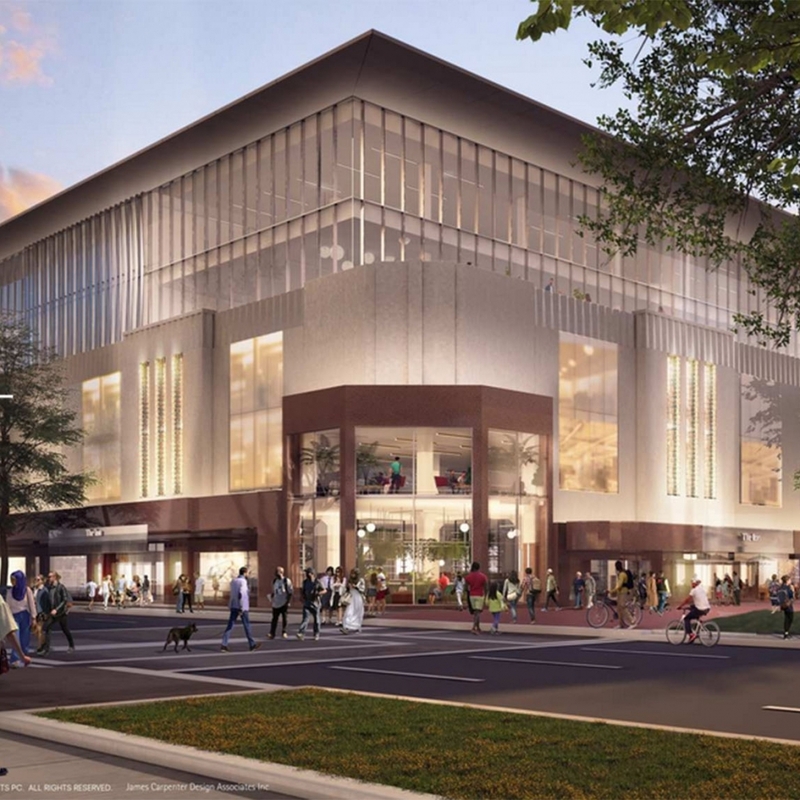 The long awaited renovation of the historic Sears building in Houston, Texas was announced today. As part of a team with SHoP Architects, James Corner Field Operations and with the Houston office of Gensler, JCDA’s design work has focused on the insertion of light as an organizing principal of the building, both through the building’s envelope and a central light well. The building, owned by Rice University, has been rechristened The Ion building and will be a hub for companies and universities, nurturing Houston’s growing demand for entrepreneurial collaborations and innovation. The renovation will begin in the spring of 2019.